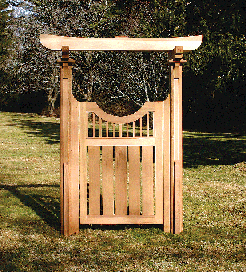 Our interpretation of the Japanese Tori Gate creates an elegantly simple accent for any garden or entryway. 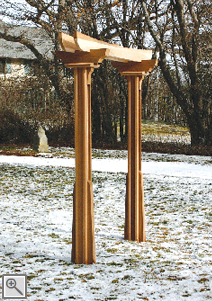 This traditional structure is generously proportioned with large sloped post caps and uniquely tapered 5½" x 5½" square posts. 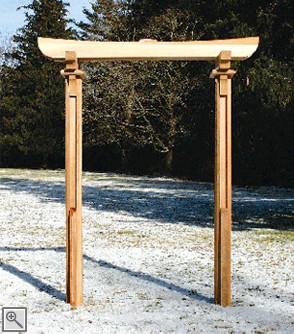 The gently curved double rafter is supported by substantial 4" x 8" beams. Shown here with our Privacy Gate One, this piece would also work very well with any of our other gate and extension styles as referenced in the Arbor Gates and Extensions section.